Camp Enterprise, a Rotarian-funded three-day program for high school juniors, helps develop the next generation of entrepreneurs. The students learn about business practices and then work in teams to come up with a business proposal and present it to Rotarian volunteers, entrepreneurs and venture capitalists. Each team receives feedback and advice from the judges on their proposals. Originally started by the Rotary Club of Kansas City, Missouri, USA, this program has been replicated by more than 30 clubs throughout North America. Last August, Rotarian Dave Diffendal talked with Rotarian W. Gaines Bagby and former camper and entrepreneur John Arrow about this program’s unique approach to inspire entrepreneurship and the long lasting impact it has on its participants. 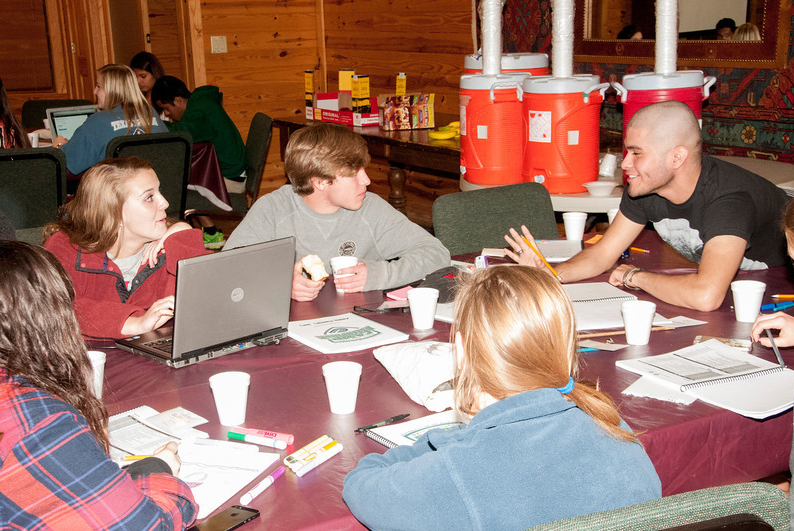 Camp Enterprise participants work in small groups on a business plan. Photo courtesy of W. Gaines Bagby. Gaines Bagby: My club, the Rotary Club of Austin, Texas, USA, first learned about Camp Enterprise more than 30 years ago. We were so impressed with the program’s impact that we decided to replicate it in Austin. Since we launched the program in the 1980s, more than 3,000 high school students have learned how to come up with a business idea, how to organize a business, how to make presentation and secure the funding, how to staff a business, and how to operate one. 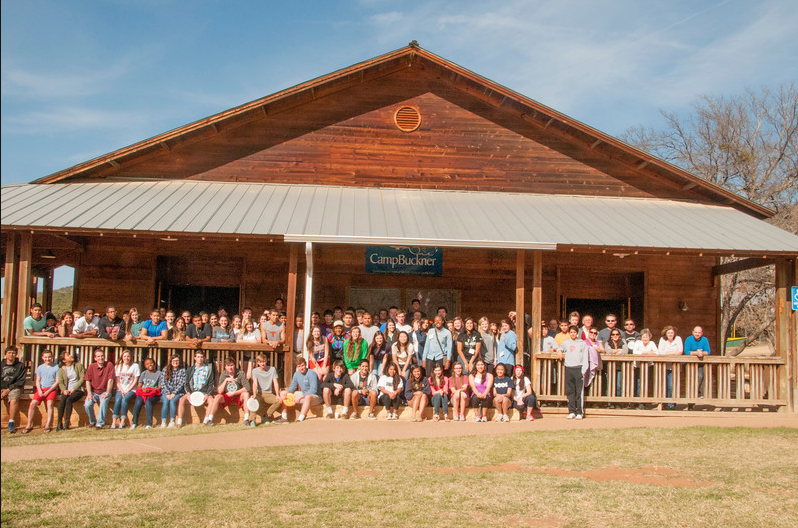 How does Camp Enterprise impact students? John Arrow: I participated in a Camp Enterprise as a high school junior about eight years ago and to this day it continues to positively impact my life. Back in high school I was doing several small entrepreneurial things and wanted to be a part of this program. I applied and got rejected because of my grade point average. None of the teachers thought I would be a good fit for it. I was so interested in participating that I decided to reach out to the club organizing this camp. I ended up having an interview with Gaines. After talking for a while, the club saw my dedication and was able to open up an extra spot and welcomed me to the program. This experience taught me to continue working towards my goals, reaching out to the right people, asking questions, networking, and pushing forward. Can you walk us through the three day program? John: When I arrived out on the ranch where the camp was being held, I was immediately struck by the other participants. I really felt that they had the same interests, the same passions as me. Just being in that environment was so invigorating and that only amplifies throughout the event. Camp Enterprise participants give project presentations. Photo courtesy of W. Gaines Bagby. Gaines: The Camp starts off with a team building experience. In the afternoon, the participants hear from a speaker followed by an ethics program where a number of ethical dilemma scenarios are presented and the participants workshop the implications of various decisions and solutions to the presented scenarios. The day ends with a final activity where each team (about 12 teams of 8) receive a product and need to decide budgeting for the product: how much of the product they are going to sell, how much are they going to spend on research, marketing, and production. Eventually the collective group comes up with approaches to raise and lower prices against their competition to get the most value for their money. The next day, things shift a bit. After a morning speaker, the participants start working on a business plan. A couple hours are spent going through how to come up with an idea for a business. The mechanics of a business are explained: how to organize the business, market it, and negotiate contracts. The participants learn about what they’ll be doing independently with their teams later that afternoon and evening. The rest of the program is dedicated to helping the participants work in teams, appoint positions such as CEO and CFO and CIO and HR and determine how the group can use their individual strengths to help the business prosper. Then these people who have never met before are now forming their own company out of an idea they mutually agree upon. They select an idea for their business by first coming up with a handful of proposals and presenting these proposals to different committees of Rotarians. The Rotarians advise on their areas of expertise: HR, technology, marketing, finance, etc. John: Looking back, the most impactful part of Camp Enterprise was having to figure things out independently for the first time. When we were split up into our groups and told to create a business plan and proposal, we weren’t given further instructions or assignments. We had to independently determine our own and one another’s skills and strengths, assign roles, divide work, and collaborate. We learned not to jump to conclusions, do our research and really determine who has the best skill set for which job, identify the best course of action, and more. Our mentors advised and guided us by asking a series of questions but ultimately we worked through trial and error and without assistance to trouble shoot issues and solve problems. This is really the best lesson to prepare us “for the real world”, and I’m continuously grateful for the program! 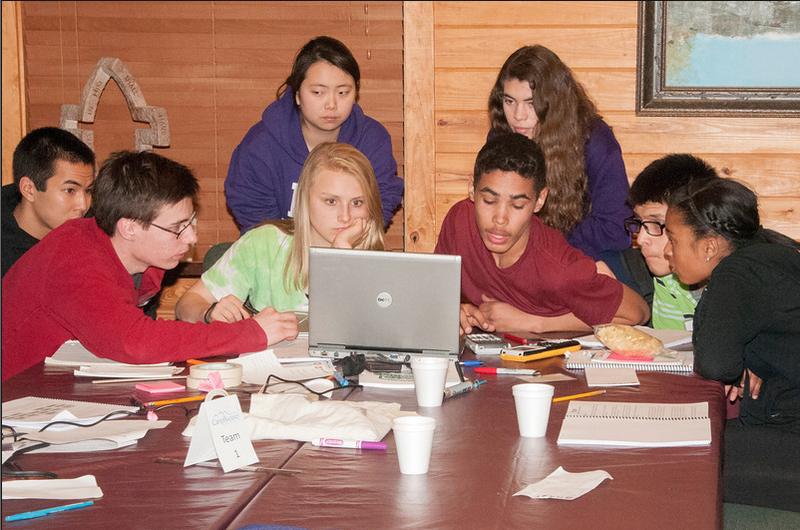 Participants at Rotary Club of Austin’s 32nd Annual Camp Enterprise. Photo courtesy of W. Gaines Bagby. The full interview first aired on WELW radio’s The Talk of the Town. 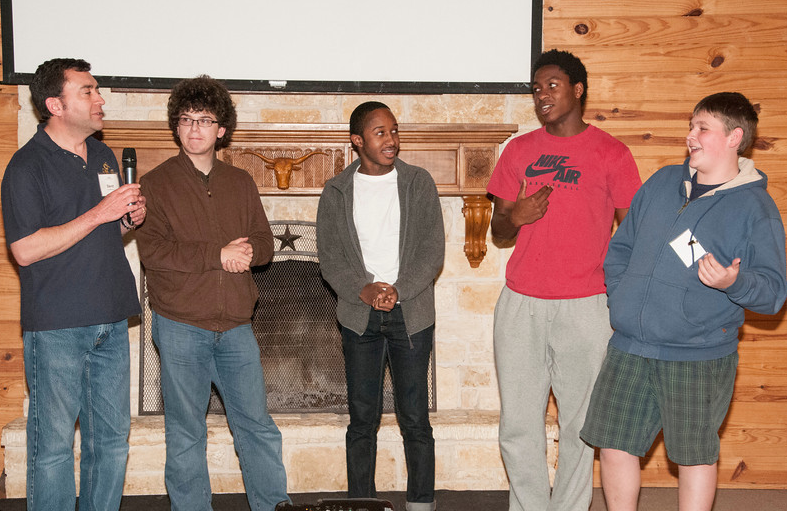 Learn more about the Rotary Club of Austin’s Camp Enterprise program. W. Gaines Bagby is a member and centennial president of the Rotary Club of Austin, Texas. John Arrow participated in the club’s Camp Enterprise program 10 years ago and is now an entrepreneur and founder and chairman of Mutual Mobile, employing over 300 people in Austin, Texas. Make a splash, it’s World Water Day!